Providing realistic solutions for an evolving industry. Servicing the freight forwarding industry for over 20 years, Sydney partner Steve Grivas talks about partnering with clients to provide strategic solutions. We have first-hand knowledge of the challenges freight forwarding businesses face on a day-to-day basis. HLB Mann Judd has a significant number of freight forwarding clients across Australia and internationally, ranging from large multinational businesses through to small family businesses. Our breadth of experience and industry knowledge ensures we are able to understand and advise on the financial and operational drivers of the freight forwarding sector. For the second consecutive year, HLB Mann Judd teamed up with The Australian Federation of International Forwarders and The Front-Line Group to release the 2018 Freight Forwarding & Customs Broking industry snapshot. This industry snapshot aims to provide a benchmark of useful information to compare the performance of your organisation against that of other organisations in the industry. 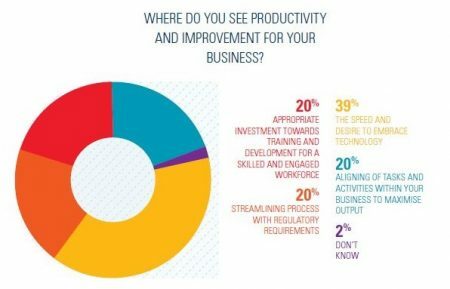 Below is a extract from this year’s report on where freight forwarding businesses see room for improvement.